TWO more candidates have been added by Fianna Fáil to the Newbridge ticket for the upcoming local elections. Current mayor of the Kildare-Newbridge municipal district Murty Aspell and Kilcullen candidate Antoinette Buckley both got the go ahead this week. After failing to secure a nomination at the December convention they both made their case at party headquarters about why they should be selected. They two other candidates on the ticket sittingt councillor Robert Power and Newbridge man Noel Heavey. “I’m absolutely delighted,” said Cllr Aspell. “I’m very happy and proud to be given the chance to represent Fianna Fáil at the next local elections. Cllr Aspell lost out as an independent in the last local elections but in March 2016 he was selected to take the vacant party seat left by Fiona O’Loughlin when she was elected to the Dáil. Antoinette Buckley is a native of Newbridge but moved to Kilcullen 23 years ago. Her father George Prendergast was always involved in community affairs and set up the Newbridge Community Band many years ago. “My late grandmother Mary( Molly) Conroy was heavily involved in the community of Kilcullen and had the honour of having Conroy Park called after her because of her work to secure housing for working families in the area,” said Ms Buckley. She lives in Kilcullen with her husband Jim and son Jamie, both of whom are heavily involved with the local GAA. “My background is very much in both business and the community. I have been involved in retail all my business life and have a great understanding of business in the current climate,” she said. 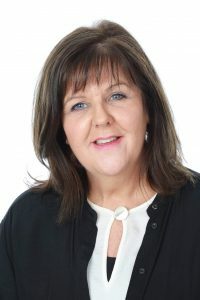 She is currently the chairperson of Kilcullen Market Square Redevelopment Project which secured a 200k grant in collaboration with KCC in October from the Town and Village Renewal Scheme Grant. She is involved with the Tidy Town’s, Kilcullen Community Action, Teach na nDaoine Project and the 700 th Year Anniversary of Kilcullen Bridge 2019 committee. “The Christmas and Easter Market’s Shop Local campaign is an initiative in which I am one of the main organisers and whose goal is to showcase the local businesses in Kilcullen,” said Ms Buckley. “I am presently leading an initiative to create a Fairy Trail through our community Riverside Park (The Valley) which will be launched on Saturday 9 March. All of these projects are about promoting and increasing footfall into Kilcullen which in turn improves the local economy. “Community driven, I get involved in as many projects in Kilcullen as possible. We have been lacking any form of local representation at council level, not having had a councillor from the town since 1960. This has been a huge drawback in terms of getting funding and resources for the town and surrounding areas which are home to about 6,000 people. The new district will take in Caragh, Ladytown, Kilcullen, Brannockstown and Twomilehouse, formerly of the Naas local electoral area. It also includes Clongorey, Athgarvan and of course the town of Newbridge itself.